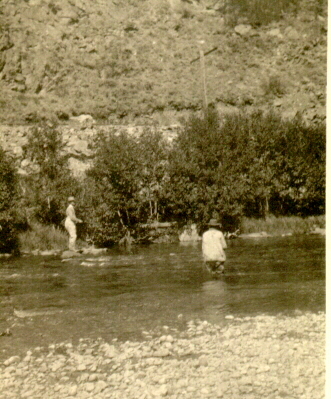 Harry and Edna fishing the Colorado River. When I was a young boy Harry used to take me to the Colorado and show me how to fly fish. I spent most of the time untangling my line from the willows along the water's edge while he brought home the dinner. With time I did improve but I feel I have not passed on the tradition to my two boys. They, like their grandfather, would rather go sailing.